Little Horses With Big Hearts! The club sponsors shows, educational clinics/workshops. Members also participate in parades and other related activities as a means to promote interest and understanding of one of the fastest growing and most beloved equine breeds. OMHCI holds the Fat N Fuzzy open fun show in the spring. It is a fund raiser training show open to all miniature horses and miniature donkeys; registered or non registered. In conjunction with the show is an informational clinic with topics that change every year. OMHCI also hosts nationally sanctioned shows – the Red River Shoot-Out, the Mini Stampede and the Cowboy Classic through American Miniature Horse Association (AMHA) , American Miniature Horse Registry (AMHR) and American Buckskin Registry Association (ABRA) in which horses can earn points and titles. Remember we will have a drawing to give away a miniature horse at the April – Red River Shoot-Out and May – Mini Stampede this year. If you have a horse you would like to donate for either one of these shows, please contact Ruby Priore, OMHCI show manager at (918)-576-1452. In the fall OMHCI also has the Wild N Wooly performance only show sanctioned by AMHA and AMHR to help exhibitors compete for points for the current year and obtain points for the upcoming year. 2018 MEETING DATES are listed on the calendar page. For those exhibitors with Buckskin horses; we are including American Buckskin Registry Association (ABRA) classes in the April – Red River Shoot-Out and May – Mini Stampede shows. If you own buckskin or buckskin bred* horses that are not currently registered with ABRA but you would like to show them; you may become a member and there will be onsite registry available to register your miniatures and ponies of buckskin, dun, red dun or grulla coloration. *The buckskin bred division is for horses that have at least one register-able ABRA parent (even if that parent is not registered) but the offspring miniature or pony does not meet the regular solid colored buckskin registry requirements (i.e. pinto buckskin, appaloosa buckskin, bay or palomino). ABRA classes will be held in conjunction with the regular AMHR (ABRA/Show 1) and/or AMHA (ABRA/Show 2) classes and will run concurrent with the regular AMHR or AMHA classes, but separate fees do apply for each show. ABRA will be having miniature classes included in their World Show in Tulsa, OK in July beginning in 2018. 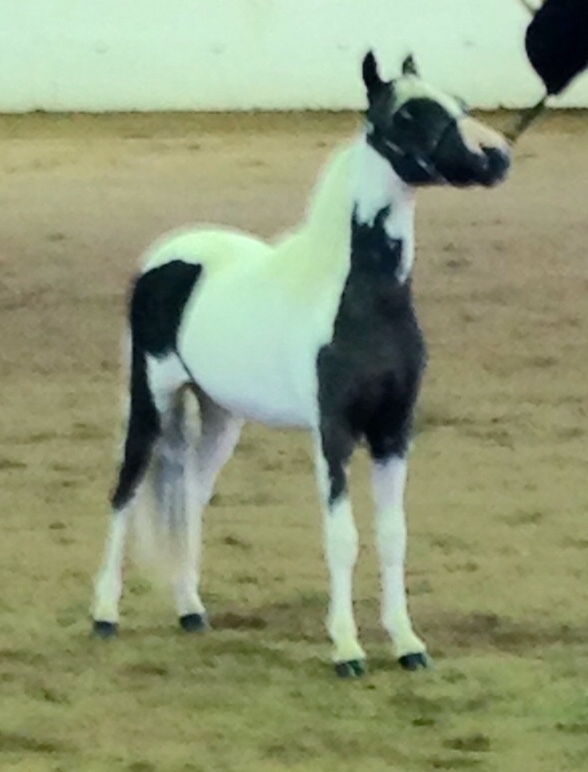 Ruby Priore is a field representative for ABRA and also for PtHA; so if you have a Buckskin or Pinto miniature, pony or horse that you would like to have registered; on-site registry will be available at the shows or by farm call. OMHCI prides itself on being helpful and competitive while promoting honesty, integrity, ethics and good sportsmanship in its youth, amateurs and those with special needs. There are show high point and reserve high point awards given to the three youth age groups and amateurs at the regular shows. OMHCI is always glad to have new members and sponsors who wish to join our club. We are also always happy to work in with other organizations who wish to volunteer or otherwise help in and with the shows.